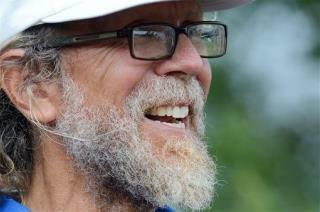 (Newser) – Another bizarre twist in the Craig Cobb case: The white supremacist arrested for terrorizing the tiny North Dakota town he wants to turn into an all-white enclave has refused food in jail for the fourth day in row—a move he says is not a hunger strike but "mahasamadhi," a quest for spiritual enlightenment. The 62-year-old, who describes himself as a martyr, predicts he will become so enlightened by Christmas that his physical body will be permanently left behind, reports the Bismarck Tribune. I don't get why this guy doesn't just move to one of the plethora of already established all-white cities in the southern US. Seems simpler.